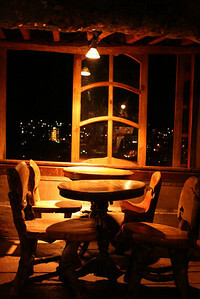 Looking for a place to dine in Baguio? Head to the 5th floor of the La Azotea building along Session Road. 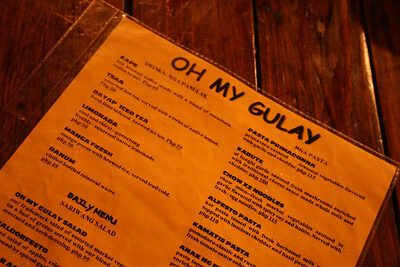 Oh My Gulay is a haven of vegetable and pasta fares (the most meat in the menu I saw were ham and bacon garnishes) in an environment made beautiful (and surreal) by local artists. There is an entrance fee of P20 per person. Shoot to your heart's content, because the place is just filled with artworks. 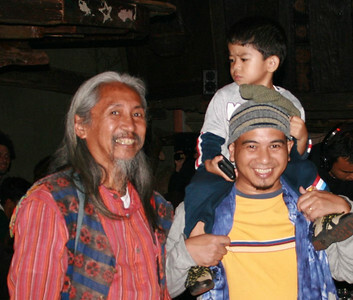 Plus, if you're lucky, you can even meet Kidlat Tahimik himself (and his sons). There are no elevators though, so the trek up sure is something for those living sedentary lifestyles. Service is good but the kitchen closes at 9 PM. There's usually a show or impromptu party though. 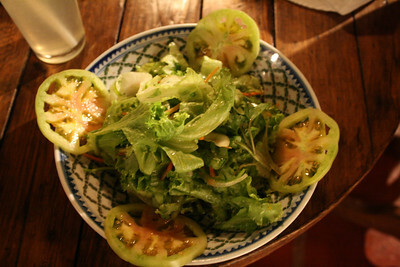 I liked the Oh My Gulay salad and the Chow Mien Noodles (?). Hubs' didn't like his Pasta Meztizo much though.